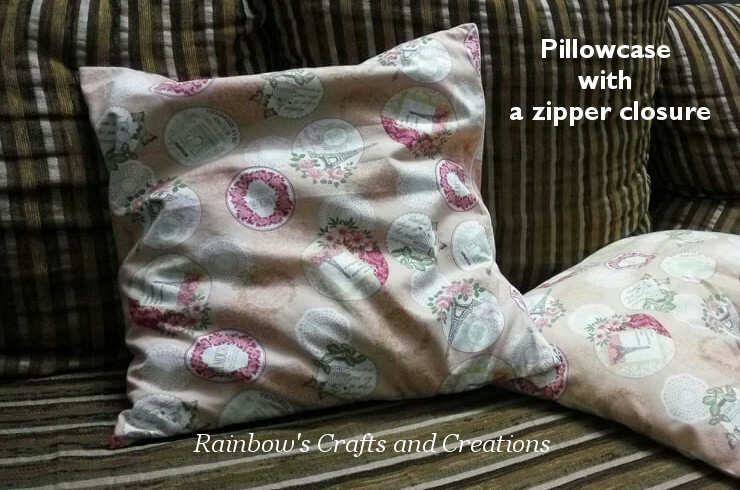 There are a few ways to sew a zippered pillowcase. 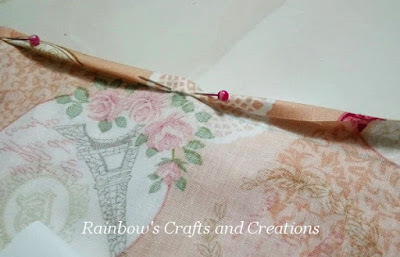 You can sew a pillowcase just with a single piece of fabric or more pieces of different kinds of fabrics, and you can also sew a hidden zipper or an exposed zipper for it depending on your desired design. Today, I am going to use a single piece of fabric and a nylon coil zipper to sew an exposed zipper pillowcase. The pillowcase is sewn to fit the pillow size 16" x 16". 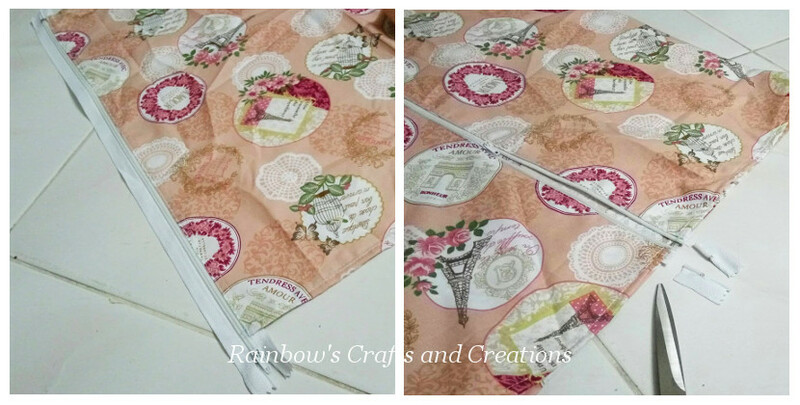 The fabric included 3/4" seam allowance for the long edges and 1/2" for the short edges. To prevent the raw edges from unraveling, we should double fold the raw edges. First of all, place the fabric wrong side up and double fold the short edge (fold the raw edge to the blue seam line and then make the second fold from the seam line). Then sew a straight line along the inner folded edge as shown in the picture. Repeat the same to the other short edge. Next, double fold the long edge. This step is slightly different with the above step. 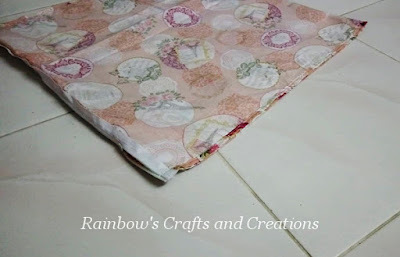 Fold the raw edge to the halfway of the seam allowance and then make the second fold to the seam line. Sew the hem. Stitch close to the inner folded edge. Repeat the same for the other long edge. Once you have finished sewing the double folded hem, sew the short edges on either side of the zipper teeth (working from the right side of the fabric and zippper). Then, trim away the excess zipper. Unzip the zipper about 2" away and turn the fabric right side together. Make sure the zipper is placed at one side and the zipper will be folded in half as shown in the picture. 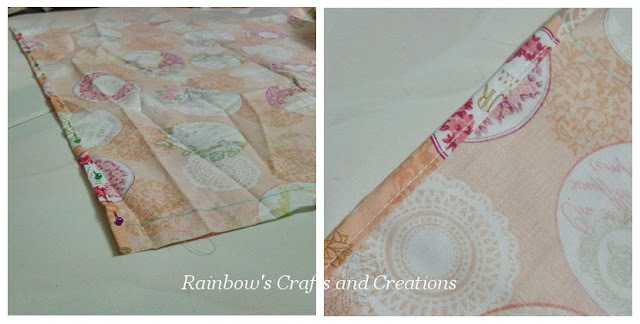 Sew a straight line along the inner folded edge. After that, sew the opposite edge with the same method. Turn the pillowcase right side out and push the corners out. You are done!! 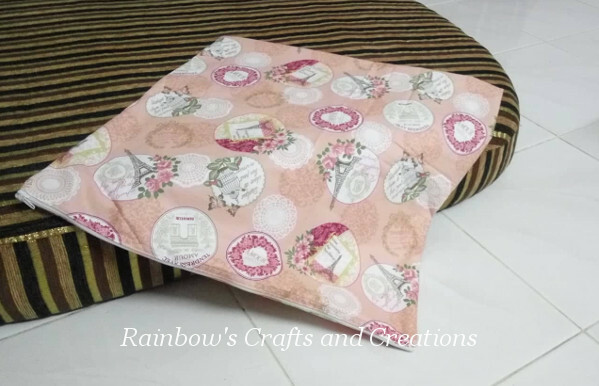 You can try to sew your desired pillowcase in other size but this method is not recommanded to sew a pillowcase that the size is smaller than 13" x 13" as it is not easy to install the zipper on a single piece of fabric for a beginner.